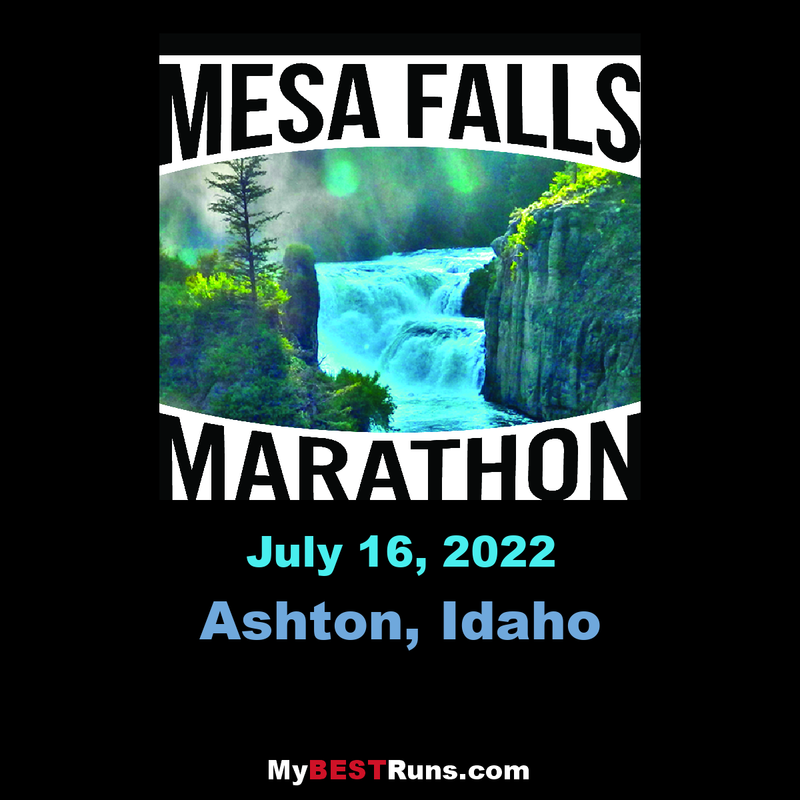 The Mesa Falls Marathon and Half Marathon races are point to point courses that begin in the Targhee National Forest near the headwaters of the Warm River and end in the city of Ashton, Idaho. 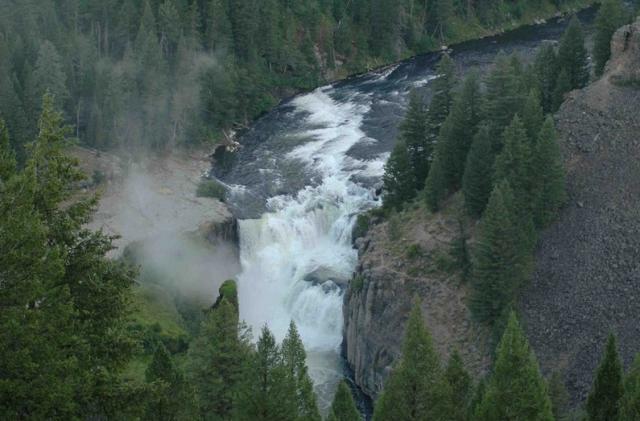 Due to our geographic location and proximity to Yellowstone National Park, a wide variety of wildlife reside in the area including elk, deer, moose, bison, cougars, wolves, and bears. The race committee makes every attempt to clear the race course of unofficial entries prior to the race. However, recognizing that wildlife may not always follow our course rules, there may be four-legged “bandits” on the course at any point. Runners are reminded to use caution if and when encountering wild animals. Please give elk, deer, moose, and bison the right of way—they are bigger than you! If a bear or cougar are spotted, just remember that you don’t want to be the first runner—nor the last! The Marathon course features a unique blend of running surfaces including 9.8 miles of gravel roads, 2.8 miles of packed trails along Warm River, and 13.6 miles of pavement and provides spectacular views of the Targhee National Forest, the Teton Mountains, Lower Mesa Falls on the Henry’s Fork of the Snake River, and Warm River. The course starts at an elevation of 6135 ft. and is generally downhill. There is one significant uphill climb from mile 17.1 to mile 19.9 with an elevation gain of 300 ft. in 2.8 miles. 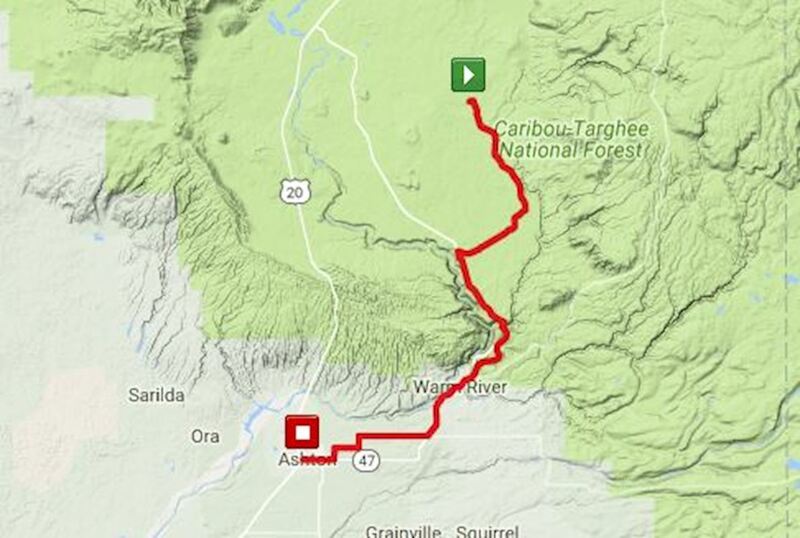 The race finishes at 5253 ft. for an overall course elevation loss of 882 ft. Aid stations are located at approximately 2 mile intervals beginning at mile 2. The Half Marathon starts in the Bear Gulch parking area. The race will start with all of the runners making one complete lap around the parking lot, and then following the trail through the tunnel under the road. Everything will be well marked with flagging, and volunteers to show all the runners the correct path. Race Start:10k - 7:30am; 5k - -8:00 a.m; Kids Fun Run—8:15 a.m., All races start and end at the Ashton City Park.